During the 1940`s Co. Sligo V.E.C. put forward a proposal to locate a Vocational School in east Sligo. This proposal was received with enthusiasm by the people of the area, whose nearest second level school was in Sligo or Ballymote. However, the immediate question on everybody`s lips was “where? – Riverstown, Geevagh or Ballintogher? After much lobbying of Councillors, who were V.E.C. members, by people from Riverstown, Geevagh and Ballintogher to have the school located in their village, the V.E.C. decided to locate the school in Coola. In 1949 Co. Sligo V.E.C. bought a two-acre site, which had belonged to the St. Lawrence Estate, for £200. Coola was then little more than a point on the map, equidistant from a number of villages – it certainly was the original green field site. There was wisdom in the decision of the V.E.C. to locate the school in Coola. People in the catchment area saw Coola not as a Riverstown, a Geevagh or a Ballintogher school, but as their school, their educational facility to be availed of and supported. The first building comprising a Science room, a Home Economics room, a general subjects room, a Principal`s office, cloakrooms and toilets, was completed in 1954. The contractor was F.J. Mulhern of Crossmolina and the cost was £9,665.00.In September 1954 the first three teachers, Mr. Felix Gaffney, Mr. P.A. McDermott and Ms. Maire Noone, were appointed and the first forty-one students were enrolled in a course leading to the Group Certificate of the Department of Education. Woodwork and rural science coupled the involvement of the school in such things as providing plans for new houses and home garden competitions, meant that the school was a hub around which the local community revolved. In the 1950`s a Group Certificate was an important qualification; it was a passport into careers that nowadays require a very good Leaving Certificate – Civil Service, Nursing, Banking and all the trades. The provision of a Group Certificate standard of education was a tremendous boost to east Sligo in the fifties and sixties. Emigration was the only option for most young people and while the provision of a school in Coola did not stem the tide of emigration, those past students who emigrated were well educated and so they were able to find jobs that were far removed from the lowly paid and menial jobs of many of their predecessors on the emigrant ships. 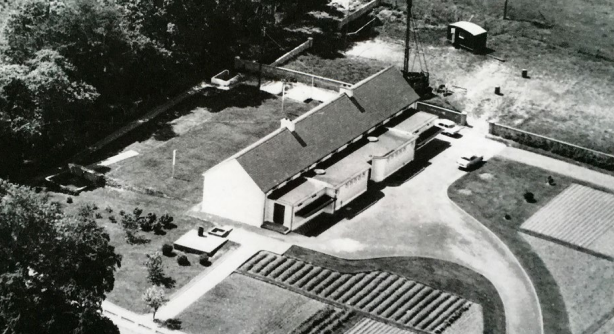 In 1965 an extension comprising of a metalwork room, a woodwork room, a library and storage rooms were built. This was a timely expansion, being only two years before the introduction of free transport. Also, the Intermediate Certificate was introduced and there was a significant increase in student numbers. During the seventies, parents, pupils and teachers felt that Coola was ready and able to provide a Leaving Certificate course. 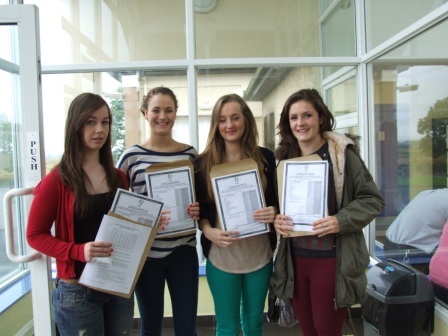 Many pupils who achieved excellent results in their Intermediate Certificate examinations in Coola had to transfer to Boyle, Ballymote or Sligo to complete their education to Leaving Certificate level. This was a most unsatisfactory situation – students had to undergo the disruption of changing to a bigger school, make new friends and travel long distances at great inconvenience to themselves and their parents. ol as an officially recognised Leaving Certificate centre. The Leaving Certificate course was first started in 1978 and first examined in 1980. The teachers in the school at that time who were responsible for taking this bold decision were Felix Gaffney, Michael Giblin, Seamus Mulhern, Sean Mulvey, Henry Kenny, Michael Finneran, Joan Kelly, Brid Martin and Finian Dodd. With the advent of the Leaving Certificate, student numbers increased and, of course, so too did the teacher numbers. In September 1978 the first Leaving Certificate class was enrolled in Coola. Since then, Coola has grown from strength to strength taking its place among the top schools and providing the full range of subjects and courses including the three Leaving Certificate alternatives – Traditional Leaving Certificate, Leaving Certificate Applied and Leaving Certificate Vocational Programme. Many of the teaching faces so familiar in the school today owe their positions to the expansion of student numbers in the 1980`s and 1990`s as a result of the introduction of the Leaving Certificate. Numbers today continue to increase and this vote of confidence in the thirty two teachers in Coola by the parents of students in our catchment area, is more than justified when you examine the quality of education provided by the teachers in this progressive east Sligo school. The building of a modern sports complex in 1980 was a major achievement for the local community and created a tremendous facility for the students of Coola. The success of the school in sporting activities, including All-Ireland titles in basketball, owes much to the training facilities provided by the Sports Complex Committee of 1980.In 1985 a permanent extension comprising of four new classrooms was built to replace prefabs. In 2000 a further extension comprising of an assembly area and toilets was built. The excellent design of this entrance area gives the school a bright welcoming and modern appearance. Enrolment in the school grew steadily and numerous prefabricated classrooms were added between 2000 and 2007. The bus park was enlarged and the front boundary wall and entrance was upgraded in 2007. In February 2008 a state of the Art science Lab was officially opened by the then Minister for Education, Ms Mary Hanifin. In 2010 the Coola Sports Hall Committee in conjunction with the Coola Rural Development Association opened a Community Amenity Facility adjacent to the community Sports complex on the school campus. During the school day students have the benefit of using this warm and modern facility as a lunch room. This building was officially opened in December 2011 by the Minister for Small Business and Enterprise, Mr John Perry.In 2010/11 outdoor hard courts were developed for soccer, tennis and basketball and the orientation and position of the football pitch was changed. A new sewage treatment plant was installed. In the summer of 2011 there was a complete overhaul of the boiler house and heating system. A new boiler was installed in preparation for future new extensions which were to follow.In the summer of 2012 a complete new electrical upgrade was carried out to accommodate the increasing electricity demands of the school. In September 2012 we opened our new extension (phase 1 of the building development plan). This modern facility consists of four general classrooms, a Design and Communication Graphics room, a Dress Design room, student and staff toilets, and bright spacious corridors accommodating student lockers. Construction work on phase two started in August 2014. This consisted of a Construction Studies room, a Design and Communication Graphics room, three general classrooms a Guidance suite and offices. It’s the third phase of a four phase project to upgrade facilities at the school which currently has 450 pupils.Coola is eagerly looking forward to the changes being planned for its future development and expansion. The school opened in October 1954 with three teachers – Mr. P.A. MacDiarmada, Mrs. Noone and the Principal, Mr. Felix Gaffney. Mr. Jim McCabe who was to become C.E.O. of County Sligo V.E.C. in later years joined them in 1955. He left in 1957 but in that same year three new teachers joined the staff ,- Mr. Seamus Mulhern, Mr. Terry Leydon and Mr. Michael Costello who was a teacher in Gurteen but came to Coola one day per week. Mr. Costello returned full time to Gurteen the following year while Mr. Leydon remained in Coola until 1961 and returned again in 1964. Seamus Mulhern remained in Coola until he retired. Mrs. Noone also left in 1961 and was replaced by Ms. Mary Gilligan. Mrs. Grainne Reidy also joined the staff in 1961. In its tenth year of operation the five full time teachers in Coola were Mr. Gaffney, Mr. Mulhern, Mr. Leydon, Mrs. Reidy and Ms. Gilligan. A number of part-time and temporary teachers also worked in Coola over the first ten years including Tomas MacAmhlaidh, Jarlath McDonagh and Nina Hayden. With the advent of free education in 1967 and the introduction of Intermediate Certificate, a big expansion in both pupil and teacher numbers took place. This year also saw the introduction of a new woodwork room and metalwork room and the provision of secretarial classes. New teachers on the scene in this year were Michael Giblin, Anne Keaney, Rory O`Beirne and Michael Gaffney. As well as metalwork being introduced in 1967 it was also the first year that French appeared on the timetable and the first teacher of French in the school was Brendan Duggan. Many of the teachers in Coola would have become household names because, in the early years, the school catered for the needs of the local community. The great appeal of classes such as metalwork, woodwork and rural science, and the involvement of the school in such things as providing plans for new houses and home garden competitions, meant that the school was a hub around which the local community revolved. As times changed and the economy became stronger, people realised that the future for their children lay in education and the securing of jobs outside of their local area. Again the school responded to this need and decided to offer the Leaving Certificate course, despite the fact that the Department of Education would not sanction the school as an officially recognised Leaving Certificate centre. The Leaving Certificate course was first started in 1978 and first examined in 1980. The teachers in the school at that time who were responsible for taking this bold decision were Felix Gaffney, Michael Giblin, Seamus Mulhern, Sean Mulvey, Henry Kenny, Michael Finneran, Joan Kelly, Brid Martin and Finian Dodd. With the advent of the Leaving Certificate, student numbers increased and, of course, so too did the teacher numbers.